Info About the car: The Pagani Huayra (Italian pronunciation: [ˈwai̯ra]) is an Italian mid-engined sports car produced by Pagani. Succeeding the company's previous offering, the Zonda, it had a base price of €850,000. It is named after Huayra-tata, a Quechua wind god. 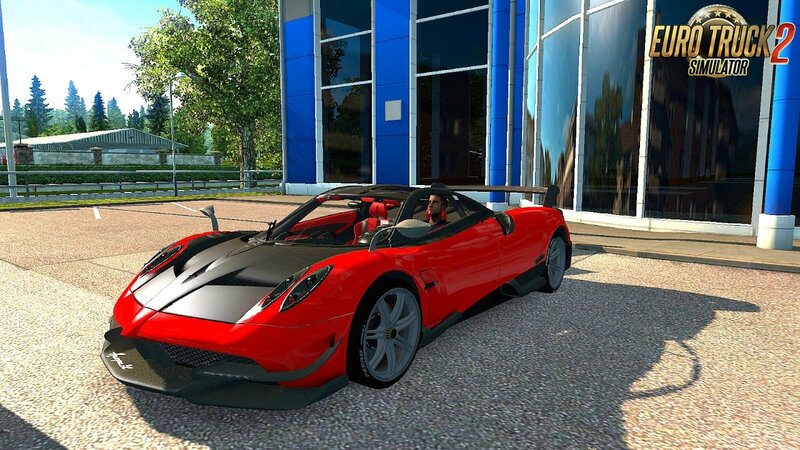 Info ETS 2: Passenger speed car Pagani Huayra Reworked v1.0 by AModding (1.27.x) for Euro Truck Simulator 2 game.